Roberto Blake is on a spree now! After reaching 100K subscribers in April 2016, he is infectiously close to reaching 200K subscribers in less than a month. 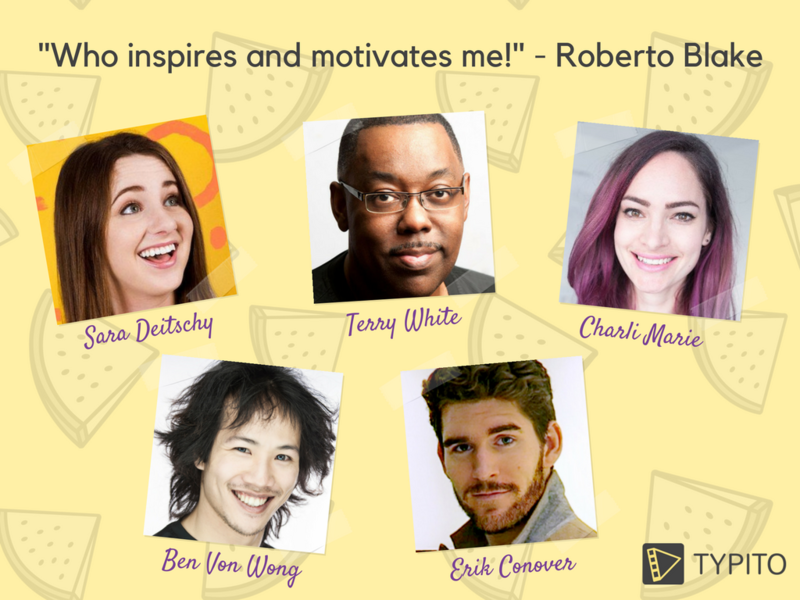 A YouTube Creator turned Influencer, Roberto vlogs about creativity, marketing, entrepreneurship, video editing, product reviews etc and engages with his audience like very few can even imagine. Our team at Typito was fortunate to pick his brain on some aspects of being Roberto Blake which could be really helpful for any YouTube aspirant out there. Without much ado, let’s dive into the interview! Q: Roberto, you have an ardent following on YouTube. While a lot of YouTube creators have over half a million subscribers, they probably don’t see the kind of engagement your channel gets. What do you think makes your content so engaging? Is it the variety you offer (a track per day in a week) or the sheer novelty of thoughts and perspectives you share? RB: I would say that is a combination of both. However it is not the only way to achieve that engagement. More than anything it’s how direct I am with my audience and how much I put into allowing them to feel I’m accessible and approachable. Q: Can you share some tips for a budding vlogger to develop a strong relationship with fans? RB: When you’re starting as a vlogger, in the first 2 minutes of a video I’d ask my audience a question I want them to answer in the comments and throughout the video give them a reason to interact in other social media. By sharing a question on screen and answering it. Doing monthly Q&A that way can help too. Q: Today you have more than 190K subscribers. 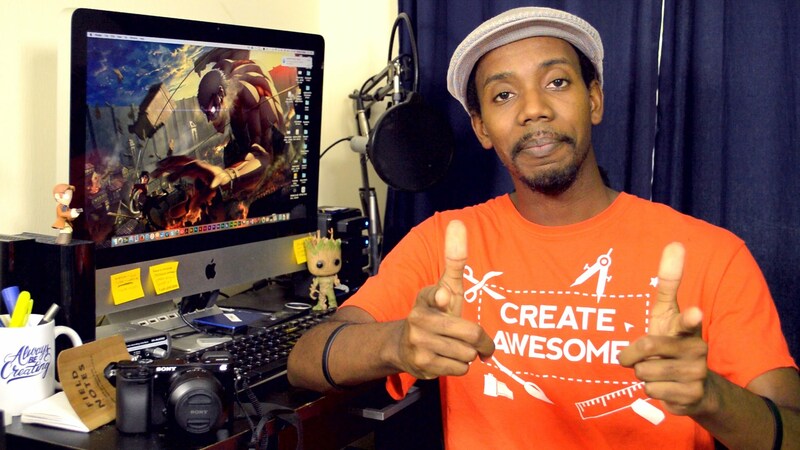 Every YouTube vlogger wants to grow their channel and get more subscribers. What do you consider to be some of the most effective ways to do so? RB: I think having realistic expectations at the start helps. Also, you have to consider how you would keep people’s attention and attract them to you in real life. You’re asking for their time, they aren’t getting it back, it’s a big deal. Make it all count. Here’s a super actionable stuff: master the YouTube dashboard, learn marketing, and have a strong visual brand. Q: Builder or Seller – if you are to choose a word that represents you? Here’s a high five from Typito for that savage one liner! Q: You are very active on your videos’ comment section and see to it that your followers’ queries are addressed most of the time. How much time do you spend in doing that and why do you think it is important to do that? RB: I have no idea how much time, but probably less or more than most people think. We all kill time literally not doing much of anything, I use that time in line for stuff or on a train or at the airport to engage, it’s not as difficult if you do that. I also do it when I can’t sleep and I’m watching Netflix anyway. RB: Twitter is honestly my favourite communication platform to engage with people. Again I don’t find it challenging to balance all three, I just make it practical. Growing Instagram is going to be more difficult because I’m not focused on creating as much great visual content there, but I think by literally just having someone take a ton of pictures of me as often as possible, and maybe getting a little bit of extra help making motivational memes out of them that I can get Instagram to over 10K followers by end of 2017 if I really want to. Q: Can you share the funniest comment and the most inspiring comment you have received for your videos? RB: Honestly there are too many good ones for either of those. Mostly I think the one’s I enjoy most are the success stories from people who were able to get a job in the industry, or launch an online business or saved money on equipment because of something I put out there. That makes a real difference in their lives. Q: Who are your favourite YouTubers/Bloggers – anyone who inspires you? RB: I’d have to say that it’s probably not who people would imagine. Ben Von Wong, inspires me to want to make more content that can help serve a cause. Sara Deitschy inspires me to want to travel more and challenge myself as a cinematographer. Erik Conover, his stuff makes me want to create content that helps people balance their mindset a bit better and be able to appreciate what a gift their life actually is. Terry White, makes me want to step up my tutorials and make technology less intimidating to people. Charli Marie who is a designer and DIY YouTuber makes me want to show more of my creativity and what it looks like for me to do art or just make stuff. These are all smaller YouTubers under 500K that are doing big things and have made an impact on how I think about my own place in this platform and what comes next for me. YouTubers and influencers who keep Roberto going! We are not done yet and it doesn’t end so fast when you talk to Roberto about YouTube, creativity and getting things done. Stay tuned for some stories that are really close to Roberto. Part II coming soon! This interview was conducted by Matthew John.